Martin Perry 23rd October 2016 23rd October 2016 Comments Off on Annie Lennox – Let Your Light Shine! Richard Reed, the successful co-founder of Innocent Drinks, has been interviewing influential people across the world, for a new book. He is asking them for one piece of advice. 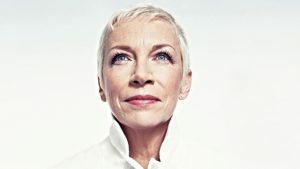 Amongst the interviewees is Annie Lennox. As you would expect her advice is interesting, and is worth repeating. ‘There will be moments in your life when a light will switch on. When you think to yourself, ‘I must do that’. It’s not because someone says you should do it. It’s because you feel there would be something missing in the world if you didn’t do it. When you find that light, acknowledge it. Find other people that share that passion. Find that deeper purpose in your life’. You would imagine that most people who have followed their unique path in life, have experienced the light that Annie speaks of. And it’s not normally a blinding external flash. It’s as if something inside has got switched on. Something that has always been there. Something that is connected to who you are as a unique human being. And the path you are destined to follow. Generally when the light gets switched on, it brings with it a sense of knowing. It’s pull is so strong and compelling. It may take you in a direction you have never been in before. It may go against all the advice of the people around you. But your life is not a replica of anyone else’s. That’s why the light is unique to you. And how much you follow it, will depend on how well you trust yourself. The greater the trust the easier it is to follow the light. It won’t always be easy. But if you follow the light, you will find that somehow, in someway, things work out. As if the light is not just a trigger for change. But a beacon that illuminates the new path you are taking. A mystery guide that is prompting you and encouraging you every step of the way. It may feel scary. It may feel challenging. But what better purpose in life than to let your unique light shine!